There is a growing consensus regarding the Milwaukee Brewers for the 2011 season: Prince Fielder will be traded. Which means there will be an opening at first base, an opening that can - and should - be filled by the prodigal son of hitting prospects. That would be Mat Gamel and does he ever deserve it this time. 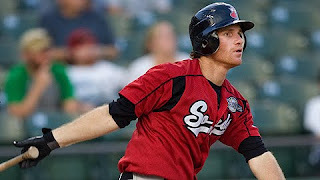 Gamel's path to the big leagues seemed like a foregone conclusion during 2008, when he hit an impressive .329 with 19 home runs for Double-A Huntsville. But even that season was marred by questionable decision making. Gamel had been hitting over .360 at the midpoint of that season but struggled mightily down the stretch run, only after the season was over did he reveal he had been playing with an elbow injury. Then came spring training... eventually. For a rookie to show up on time he must show up early, it's a sign of commitment and willingness to put in the extra work to make yourself the player you want to be. Only Gamel didn't show up early, he showed up right on time, which did little to ingratiate himself to his teammates and the front office. But then the season started and he swung a bat that made you forget about all that. He raked early on, earning himself a call-up to play Designated Hitter for interleague play. 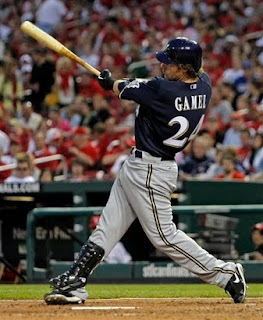 Gamel made a strong impression early on too, in his second appearance he hit a three-run homer against the St. Louis Cardinals. But then Rickie Weeks got hurt and Gamel stayed with the club despite a lack of consistent at-bats, in essence he rotted on the bench. Gamel developed a hole in his swing inside and off the plate and it was exploited - he struck out nine times in his final 13 at-bats before being sent back down to Triple-A. His struggles continued when he returned to Nashville, despite playing everyday. In 75 minor league games he struck out 89 times and hit .278 (a good mark by itself but not considering his start to the season). 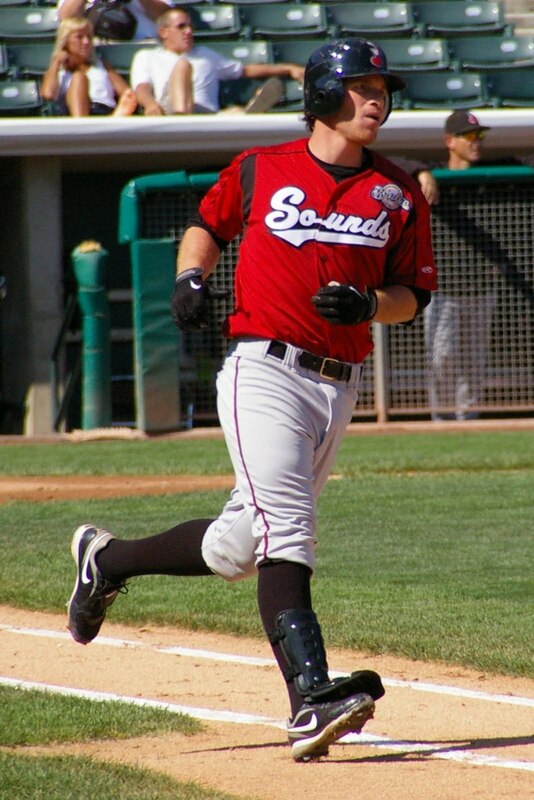 There it was, when Mat Gamel got close to the precipice of being a major leaguer he finished two straight minor league seasons not with a bang, but a whimper. Add in some decisions and there were questions about his commitment to the game. Not about the talent, not about his offense, but about his willingness to do what he had to if he wanted to live up to his talent level. And then came 2010. When Gamel was one of the first players to appear in camp in the spring. When he worked harder than ever at his major weakness - defense. Management was back in his corner, it appeared that the lefty had turned a corner, he was ready to live up to his top prospect billing. But the baseball gods had one more test for him. In mid-March an MRI revealed that Gamel had a torn muscle in his shoulder and he would be out of commission for six weeks. Some were ready to write him off as yet another high-ceilinged prospect who wasn't going to pan out. Gamel didn't make his first appearance with Nashville until June. He was alright that month, hitting .284 with 16 RBIs in 27 games. July was a different story, Gamel showed why he was considered one of the organization's top prospects. He hit six home runs while batting .300 and driving in 28 runs. Now it's August, a month that has not treated him well in recent seasons. So how will Gamel finish out this season? Another quiet fade of the numbers and the return of questions about his unsustained success? Not so fast. Through Wednesday Gamel is on fire, batting .444 in August. That includes going nine for his last 14 with five doubles. Mat Gamel is back, Mat Gamel is hitting and there will likely be a glaring hole on the right side of the Brewers infield in 2011. He deserves the chance to fill that hole and this time - he's earned it.